Overtime at the office? Late night out with the ‘kada? Sometimes we’re just too tired to take off our makeup. That’s when we reach for makeup remover wipes. But just to be clear, they’re not a complete replacement for your whole skincare regimen. 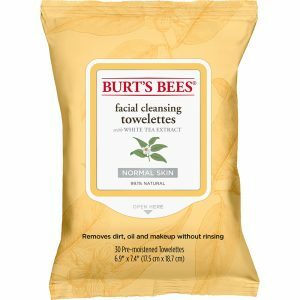 Easy, quick, and convenient—but be careful because not all makeup remover wipes are created equal. Some provide better benefits depending on ingredients and formulation. Continue reading to find out how to choose the best makeup remover wipes for you. What are Makeup Remover Wipes? 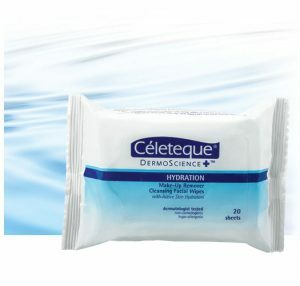 Makeup remover wipes are cleansing sheets that are pre-soaked in makeup remover. The best thing about this product is all you have to do is take a sheet, wipe your face—and voila! Your makeup is off. They’re perfect for trips when you want to pack light or for those nights you’re just too exhausted. Depending on the product, there are some that also provide hydration or moisture. Keep in mind, though, that these wipes are mainly meant for removing makeup, so it’s still recommended to go through your whole skincare regimen. To effectively use a makeup remover wipe, gently press it against your face for around 10 seconds and allow the product to work its magic. Start from the middle of your face, moving outwards in a gentle swipe. Don’t skimp on the wipes–if one sheet isn’t enough, use as many sheets as necessary. Now we will discuss some points to keep in mind when choosing makeup remover wipes. There are two major types of makeup remover used in wipes: oil-based and water-based. 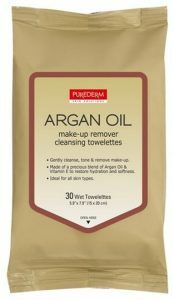 Oil-based makeup remover wipes, just like a cleansing oil, are powerful enough to remove waterproof foundation or mascara. 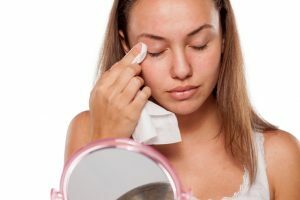 Water-based makeup remover wipes, on the other hand, are more suited for removing light, natural makeup or for re-doing makeup. It can also be used to remove sunscreen from other parts of your body. Make sure to choose the makeup remover wipes depending on what kind of makeup you wear and how much of it you put on. Of course, you’re also free to purchase both and use each for different occasions. 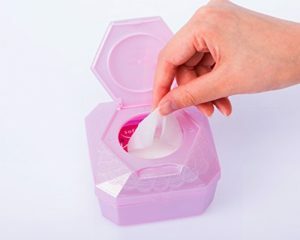 Makeup remover wipes come in packs of different sizes—most of the time they’re small and portable, but other times they’re just too big and bulky. Big ones save you money because they contain more wipes, but they’re too bulky to be taken with you every day. Pocket-sized packs are more convenient but contain fewer wipes. They’re compact and easy to bring along every day; all you have to do is slip one into your bag. They will come in handy for emergencies–such as unforeseen sleepovers or times we end up a sweaty mess after a workout or a hot summer day. After all, it’s better to take off your makeup and completely redo it, instead of retouching it while you’re sweaty. There are some makeup remover wipes that, aside from removing your makeup, promise to also moisturize or whiten. It shortens your skincare regimen into one step–so you can get to bed faster when you’re completely exhausted. We don’t recommend using them every day—or using them to replace your whole skincare regimen. It’s still important to cleanse and moisturize your skin properly. However, they’re great when you’re traveling and you don’t have the room to pack all your cleansers, creams, and lotions. 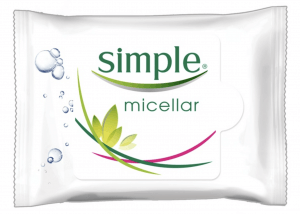 It’s time to introduce the top makeup remover wipes you can find online in the Philippines. We hope you find something you like! This product definitely does more than just clean. Its double-sided cleansing sheets come with a soft and a textured surface. You can use the soft side to gently take off your makeup and the textured side to exfoliate and refine your skin without leaving any icky residue. This product also contains magnolia extract, known for its antibacterial and anti-inflammatory properties, which makes it suitable for acne-prone, oily, or combination skin. Also, if you’ve been exposed to extreme pollution the entire day and feel like you need extra exfoliation and cleansing, we highly recommend this product. This product is loaded with micellar water, which works wonders as a cleanser. It’s composed of hydrating ingredients and mild surfactants that absorb dirt and oil. It’s also formulated with aloe vera to hydrate your skin and chamomile to give you the fresh feeling. It cleanses but doesn’t irritate or dry the skin. It’s light and gentle enough to forgo washing your face afterwards—in fact, washing your face would wash the hydrating ingredients right off. Its sheets are also bigger than usual, so one is enough to clean your face. This product contains olive oil made from organic golden olives. Olive oil, which is rich in antioxidants, vitamins, and nutrients, helps remove makeup and impurities while hydrating the skin. All you need to do is gently wipe your face. There’s no need for unnecessary rubbing, which might irritate your skin. Its gentle formula also doesn’t sting, so you don’t have to worry if you accidentally get the product in your eyes. This also makes it suitable for people who have sensitive skin. It might leave some oily residue, so we do recommend following this cleansing sheet with a facial cleanser. Its mild, soap-free formulation removes makeup and dirt without causing any irritation. It leaves skin feeling clean and refreshed, which also makes it great for wiping off sweat and grime after a long day outside. It doesn’t strip the skin of its natural oils, and it doesn’t disturb the skin’s natural pH balance. This product is fragrance-free and paraben-free. Plus it uses ultra-soft cloths, making it suitable for people who have sensitive skin. The only downside is it consists mostly of chemicals, so if you’re looking for a natural makeup remover, this isn’t for you. This product is simple and affordable. It contains “active skin hydrators” that boost the skin’s moisture levels and leave your skin feeling clean and hydrated. It’s hypoallergenic, so if you always seem to be allergic to these products, you could give this a try. This product is also non-comedogenic, so aside from removing all the makeup, sebum, and dirt, it also won’t clog your pores. It’s suitable for people who have enlarged pores and are prone to developing blackheads, whiteheads, and pimples. 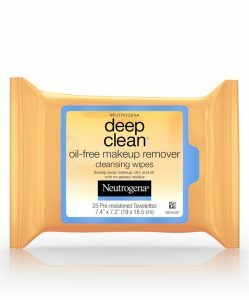 If you love using waterproof makeup, you might have some trouble taking it off with these wipes. Argan oil was nicknamed “liquid gold” for a reason. Widely used in skincare and haircare products, this natural ingredient, rich in fatty acids and vitamin E, effectively hydrates and softens the skin. It’s non-greasy and non-irritating, which allows the skin to absorb it easily. The best part about this product is its effectiveness in removing makeup. Although, depending on the makeup, you might need to use more than one wipe. 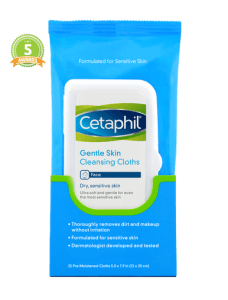 This product is still designed to be gentle on the skin, so be careful not to be too rough as the wipes are easy to tear. This product cleanses and moisturizes your skin with natural ingredients such as white tea extract, cucumber, and aloe vera. It’s formulated without parabens, phthalates, or petrolatum, so it’s gentle enough for people with very sensitive skin. In fact, the ingredients used here are so gentle that they can be used on hypersensitive skin, like that of a pregnant mother. However, the cloth is strong and doesn’t tear, even if you wipe off other parts of your body. 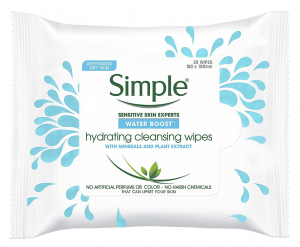 The only thing is, these wipes are a little dry and don’t work that well on waterproof mascara–but that may be expected from such a non-oily wipe. 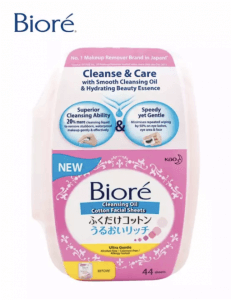 Here’s an oil-free product that can dissolve oil and remove pore-clogging dirt and impurities. It doesn’t leave any greasy or sticky residue, eliminating the need to rinse afterwards. This can remove tough makeup without that oily feeling, so it’s definitely worth a try! Avoid contact with the eyes, as this product will sting! It’s best to use these wipes on the oilier parts of your face. This product is best for oily skin, as it can be a little drying. It also has a strong fragrance, so we don’t recommend this for people who are allergic or sensitive to strong smells. This product is filled with micelles, which are “smart cleansing bubbles” that lift the makeup, sebum, and dirt from your skin without drying it. It’s gentle enough for everyday use, but strong enough to remove waterproof makeup, excess oil, and dirt. But don’t worry, as this product contains no alcohol, no artificial perfumes or dyes, and no harsh chemicals, which means it’s less likely to irritate your skin. It’s also packed with skin-loving ingredients such as vitamin B, vitamin E, and triple purified water, which ensures that your skin is instantly hydrated. This product revives, restores, and hydrates your skin while cleansing it of impurities. It’s suitable for all skin types. 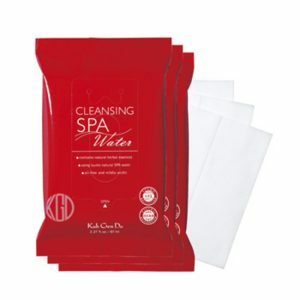 These cleansing sheets are soaked in cleansing oil, which can remove the toughest of makeup. It comes in a hard case that keeps the wipes from drying out. The price may seem a little expensive, but you don’t have to worry about wasting the case because there are refills available for a cheaper price. It’s formulated with “hydrating beauty essence,” which will leave your skin feeling moist–without the oily or sticky feeling. They’re perfect for removing tough-to-remove eye makeup, but since they come in small cotton sheets, you might have to use more than one sheet to clean your whole face. We don’t recommend using makeup remover wipes every day. The fact that one wipe can be enough to remove makeup is proof that it contains harsh chemicals that may damage your skin with continued use. The most common components of makeup remover wipes are water, oil, alcohol, and surfactants–these dissolve makeup for easy removal. Surfactants are a harsh ingredient that can dry your skin. 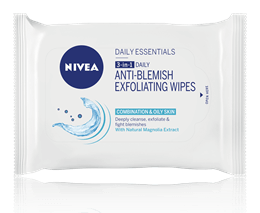 Wiping your skin with these wipes every day may also irritate your skin and cause further skin troubles. A makeup remover wipe will not be enough to replace your skincare regimen. But let’s be honest–there are times we’re just too lazy or exhausted to do every single step. These are the times when using a cleansing sheet to remove makeup is definitely better than sleeping with your makeup on! What do you think? Were you able to find something that interests you? Just remember to reserve these makeup remover wipes only for days you absolutely can’t go through your whole skincare regimen.